Our team is an integral component of the service we provide to poultry and hog operations throughout Pennsylvania, Maryland, Delaware, the Delmarva Peninsula, Virginia and North Carolina. Read more about our talented crew. Blair joined the Northeast Agri team in 2014, after nine years working for Perdue Farms in research and various grow-out roles. He currently retrofits and remodels existing poultry houses and handles construction sales. Blair most enjoys helping potential and existing customers achieve their dreams of becoming successful poultry producers. Prior to his work at Northeast Agri and Perdue, Blair leased 6 poultry houses from 2002-2005. He graduated from Delaware Tech in 2005 with an A.S. in Applied Agricultural Technology. He was raised on a 3-house poultry farm in Laurel, PA that is still operational today. Blair and his father currently raise about 600K, 9lb. roasters for Perdue annually. Blair currently resides in Laurel with his wife Julie and their 3 children, daughter Harper, and sons Asher and Rhett. Huck started working at Northeast Agri Systems in 2006 in the sales department. He enjoys the challenges of his position. Huck worked as a Pullet Supervisor at Holly Farms, trained in the hatchery, installed equipment and was a serviceman for Choretime before joining Northeast Agri Systems. Huck grew up in Snow Hill, MD. He has a son named Adam. 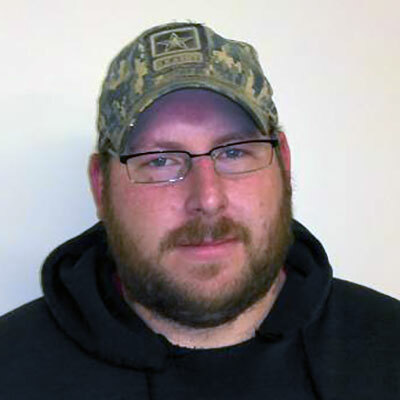 Charlie began working for Northeast Agri Systems as a Service Technician in 2006 after working at Perdue Farms Inc. in the maintenance department. Christina began working for Northeast Agri in 2010 as a receptionist and accounting support person. Just 10 months later, Christina moved into the Bid to Order Office as Equipment Coordinator where she has since become an Estimator. Christina’s favorite part of her job is learning new things. She enjoys the fast-paced work environment and the challenges that come with learning about a new industry. Prior to joining Northeast Agri Systems, Christina was a stay at home mom for 8 years – raising 3 boys, Ryan, Justin and Nicholas. Before that, Christina worked at American LaFrance/LTI in the sales department and as an Executive Assistant. In her spare time, Christina enjoys fishing, the beach and spending time with her boys. Favorite Sport: Football – Philadelphia Eagles and the Georgia Bulldogs – GO Dawgs! Cindy began working at Northeast Agri Systems in 1990 and is part of the management team as operations manager. Through the years, Cindy has also held positions in A/P, A/R, Payroll and Job Costing. Cindy lives in Mount Joy, is married to Bill Hiestand and has 3 children and grandchildren. Darryl joined Northeast Agri in 1993, working in service and the warehouse. 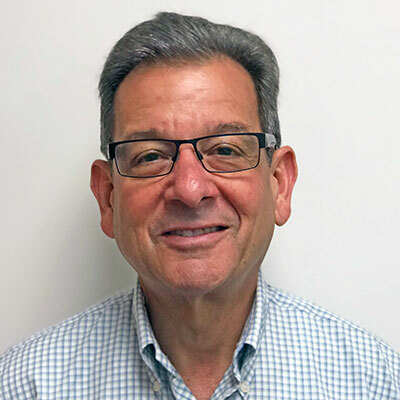 He later moved to quoting for Ken Towers on the Shore and Jay Kreider in Pennsylvania, before gradually taking over IT duties as the company grew and progressed. During his time in the IT department, Darryl has developed an in-house quoting program and the company intranet. Darryl says he keeps the wheels turning and as well-greased as he can in his job in IT. Darryl was born in Topeka, KS and grew up in Talmage, PA. He attended Central Bible College in Springfield, MO. He is an A+ IT Technician. Darryl is married to wife, Karen and has 4 children, daughters Rachael and Rebecca and sons Jonathan and Joseph. His father, Henry Eberly, also works for Northeast Agri Systems. Dave joined Northeast Agri in 1992, starting his career as a Service Technician. He also worked in customer service and was head of the Service Department before being promoted to Supervisor of new construction and remodel. In his current role, Dave oversees building projects and also helps out in the Service Department. 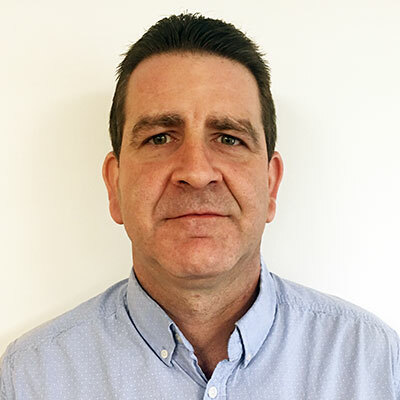 Dave brings experience in a variety of areas to his work at Northeast Agri including extensive experience in construction, welding, electrical, fabrication and Diamond Packer repair. He has also served as a Skid Loader / Equipment Trainer and a Lead Tech at Abatement. Dave has successfully completed Chore-Time/Pigtek classes and received training in first aid, OSHA procedures, and CPR. Dave grew up in Ephrata and currently makes his home there. He is married to his wife, Tina and the couple has 4 children, a daughter and 3 sons, along with one granddaughter and 3 grandsons. In his spare time Dave enjoys repairing and building custom motorcycles, tattoos, riding motorcycles, traveling, music and family time. He has vacationed in Florida, Baltimore, NYC, NJ, Ocean City, Maryland, Boston, the Delaware beaches and Canada. David is a graduate of Berklee College of Music. He initially grew up on a poultry farm and then in and around the poultry equipment business. He joined Northeast Agri in 1983 with a vision of providing total solutions for customers using the most modern and productive equipment available. David’s philosophy has always been that the customers come first. Even with the tremendous growth the company has experienced, he still holds this philosophy to this day. 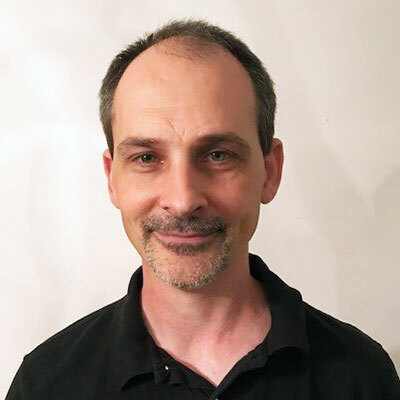 David is very active in the business, handling much of the day to day operations in marketing, sales and customer service, and delegating tasks and responsibilities as needed. David has served on the Board of Directors of PennAg Industries Association, The S. June Smith Center and The S. June Smith Center Foundation and was President of the Foundation Board from 2001 – 2003. In 2003, David received the S. June Smith Award. David serves on the advisory committee for the Poultry department in the School of Animal Sciences at Penn State University. In his spare time, David plays jazz piano in several local bands and his own trio, or quartet at local venues. He is married to wife, Arlene and has 2 daughters, Laura and Emily and a son, Gregory. 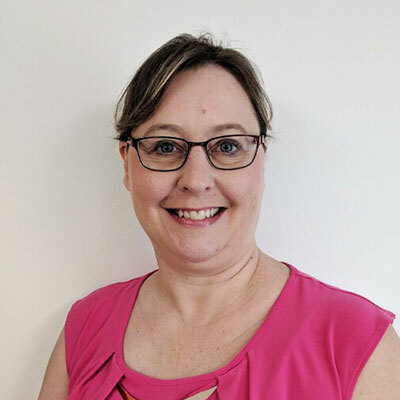 Deb began working for Northeast Agri in 2016 as an Accounting Specialist. Deb loves numbers and is always learning new things. 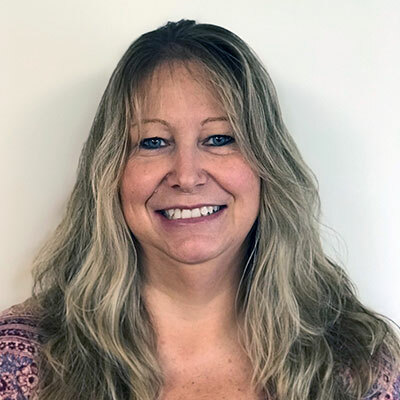 Deb brings over 20 years of experience in accounting to her position at Northeast Agri. She previously worked for an electrical construction company, a home builder and a concrete installer. In her spare time, Deb and her husband enjoy spending time with their 3-year old Shih-Tzu, Daisy and 4 grandsons. They can also be found at Lancaster Barnstormers baseball games throughout the season. Donald joined Northeast Agri in 2017 as a Store Manager. He currently oversees store operations. Donald most enjoys the people he works with and notes that they are always helpful when you need it. Prior to joining the company, Donald worked as a flooring specialist, handling customers, vendors and installers. Donald is also forklift certified and has many years of customer service experience. He has served as an OR Warehouse Manager at DELM, where he managed inventory and assisted customers and installers with merchandise. Donald loves the great outdoors and spends a lot of his free time fishing, hunting or just being outside. Duane joined the Part department at Northeast Agri in 2002. He most enjoys working with customers throughout the day. 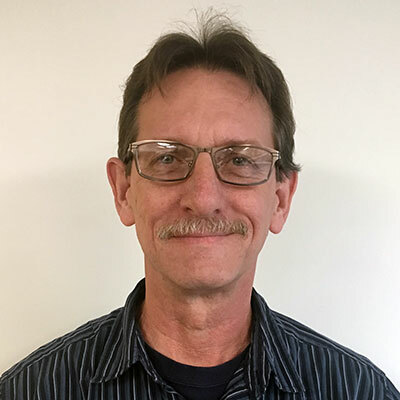 Prior to working for Northeast Agri, Duane worked for Ag-Chem Equipment Company for 11 years, both in the parts department and as a center manager. Duane holds a variety of certifications including OSHA, NIOSH, and NFPA certs, PA State EMT-FR and CPR/AED. In his spare time, Duane is active in the West Hempfield Fire & Rescue Company, serving as President and Captain. Frank joined Northeast Agri Systems in 1998. 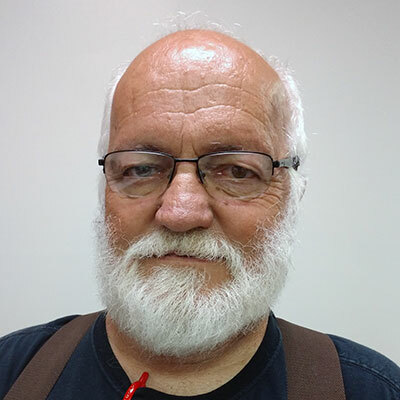 He began his career in the poultry equipment industry in 1977 as an equipment service person and later advanced to equipment sales and management. He has worked in the poultry equipment industry for over 36 years. Frank served on the Delmar High School Board from 1994 – 1999, serving as Vice-President in 1999. He was also a coach for Delmar Little League and Delmar Soccer Leagues for 15 years and also umpired for the district. He is an active member of Oak Ridge Baptist Church in Salisbury, Maryland. Frank grew up in Laurel, Delaware and enjoyed his summers working for local farmers in their grain, produce and poultry operations. Frank is married to wife Debbie and they have 2 grown children and four grandchildren. Frank and Debbie enjoy cruising in their Z28 Camaro and attending various car shows. Hobbies: Working in garden and flowers. Attending grandchildren’s sporting events and spending time with them. Henry joined Northeast Agri in 1999 and currently works as a Project Manager overseeing building construction projects. He most enjoys the challenges that come with different jobs. Henry’s background in welding and commercial construction has served him well during his time at Northeast Agri. Henry is married and has four children and eleven grandchildren. In his spare time Henry enjoys blacksmithing, gardening and working with the Royal Rangers boy’s camping program. 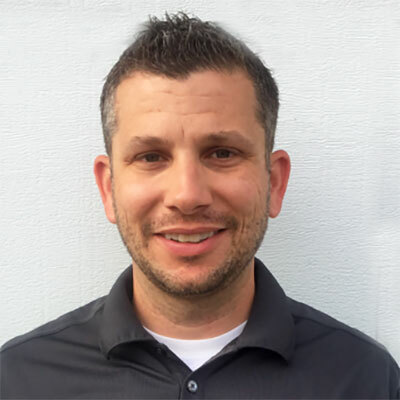 Joel joined Northeast Agri in 2000 as a Service Technician and has since been promoted to Service Manager where he acts as service advisor and handles customers service. He most enjoys working with customers to solve their problems. Joel has been married to his wife, Jamie, for 23 years. When he’s not working, he enjoys riding motorcycles, visiting family and spending time with friends. He is an avid sports fan, though his favorite sport is football, especially Oakland Raiders football. 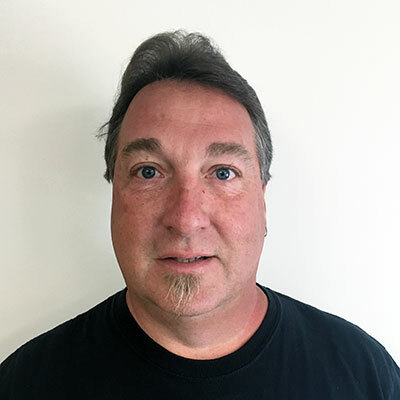 John joined the Northeast Agri team in 2003 and is currently in charge of the hog division, sales, design, and construction of hog remodel and new construction projects. 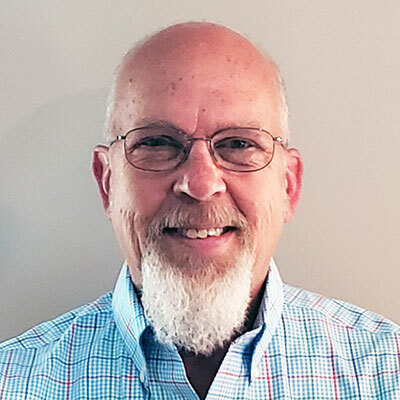 John began his career in agriculture in 1977 and has been heavily involved in the hog industry, mostly with equipment, building designs, and construction. 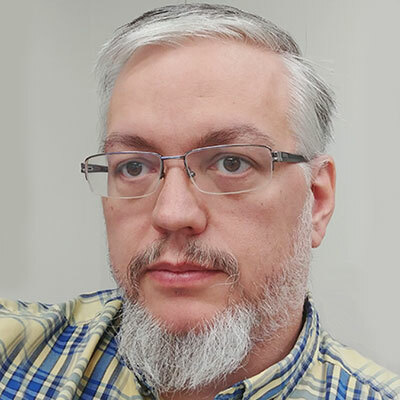 He has designed, sold, and managed hog projects throughout the United States and in parts of Mexico. John has been married to his wife, Lori, for 40 years. They currently reside in Lebanon County, PA and have one son and three grandchildren. Favorite Saying: There is a silver lining in every cloud. When God closes one door he opens another. 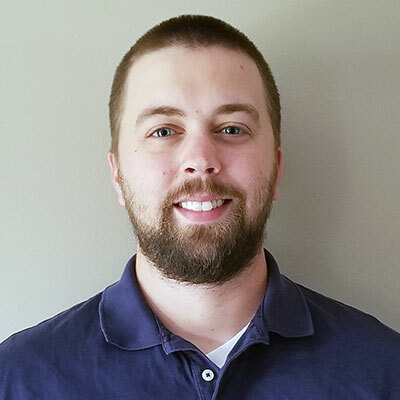 Justin joined Northeast Agri in 2018 as Job Supervisor. He coordinates customers, sales staff, and sub-contractors to ensure customer satisfaction. He most enjoys solving problems and encountering different situations every day. Justin attended Penn State University and worked for several years managing golf course ground crews. He also managed a large broiler farm for a few years before joining the Northeast Agri team. Justin is married to wife, Megan and has a daughter named Claire. Kandee has worked for Northeast Agri Systems since May of 2006. 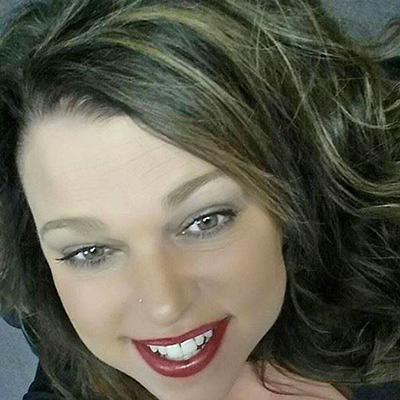 Kelly began her career at Northeast Agri Systems in 1991 as a receptionist. She became a Building Assistant and finally moved into her current role in the accounting department. Kelly loves the working relationship she has with her customers and vendors and also the friendships she has developed with her co-workers. Kelly was born and raised in Lancaster County, PA but has recently purchased a small farm in York County where she and her husband care for their horses. Kelly & Brian have 2 daughters: Ashley and Emalee. Volunteer: PennAg Industires; 4-H Leader with the Hooves & Hearts Horse & Pony Club; Columbia Riding Club; Church dinners & VBS at St. James Lutheran Church in Columbia, PA.
Lamar joined Northeast Agri Systems in 1995 with years of experience in agricultural and food industry transportation. He started out as a service technician and eventually moved into his current position as job supervisor for building and equipment installation. He also does service and warranty work. Lamar has obtained a wide range of vocational and vendor training through the years including votech training in welding, diesel training from International Harvester Trucks and vendor training from Choretime. He also has a class A CDL license and has participated in safety training. Lamar is married to his wife Cheryl of 20 years and has 3 sons (Curtis, Jesse & Matt), 2 daughters (Wendi & Tara) and 6 grandchildren. In his spare time, Lamar enjoys riding motorcycles, hunting and vacations in the mountains. Matthew began his career at Northeast Agri in 2017 and currently works in poultry house sales and remodels. He enjoys helping potential clients choose the products that best meet their needs. Matthew grew up on a crop and animal farm with four broiler houses. He graduated from Cocalico High School in 2013 and continued his studies at Pennsylvania State University, where he earned degrees in Agricultural Science and Agribusiness Management. Matthew has served as a fundraising chairman and Beef and Dairy Beef Show chairman for the Denver Fair and as Director for the Southeast PA Beef Classic Jackpot Show. Michael has served as Controller at Northeast Agri since 2012. He most enjoys the days when everything runs smoothly. Prior to his work at Northeast Agri, Michael held various manufacturing jobs while earning his degree, then worked in the accounting and finance departments of several companies before joining Northeast Agri. Michael earned his B.S. in Business Management with an emphasis on Accounting from Millersville University. Michael is married to wife, Beth, and has a stepson named Dylan. In his spare time, Michael enjoys preparing smoked and grilled foods, reading and collecting antiques. 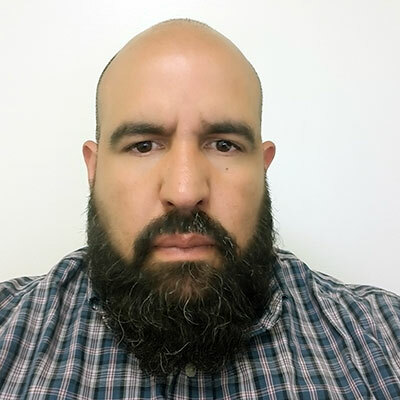 Mr. Hernandez began working at Northeast Agri Systems in 2007 and currently works as a Purchasing Agent and Building Assistant. He began his career in the warehouse and accepted a position in the Building Department when an opportunity became available. He enjoys meeting and talking to new people on a daily basis. Patrick began working for Northeast Agri in 2014, joining the sales team for poultry and layer sales. He most enjoys being able to offer the best equipment to customers. Prior to his work at Northeast Agri, Patrick managed layer and pullet farms for over 20 years. SQF, HACCP and Composting certified, Patrick earned his Bachelor of Science degree in Agriculture from Ohio State University. Patrick has been married to his wife Stacey for 23 years and has eight children. Randy joined Northeast Agri as General Manager in 2017, bringing over 23 years of poultry equipment industry experience to his new position. 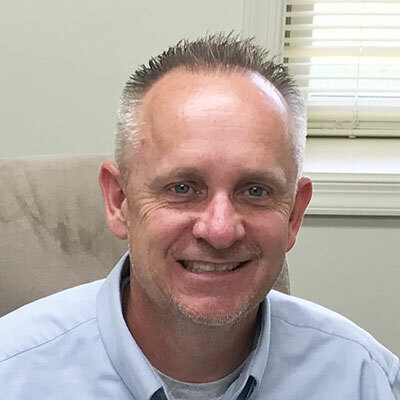 Randy’s career in poultry equipment began in 1995, where he served as an Operations/Purchasing Manager at G&M Sales, Delmarva. After G&M closed, he worked for Poultry Supply in Pocomoke, Maryland as a store and service manager, while also handling sales. Randy graduated from Shenango High School in 1983 where he still holds the cross-country record for the 5k (15 min 53 sec). After high school, he joined the Air Force. While serving his tour of duty in Europe, he attended Community College of The Air Force, acquiring credits toward an engineering degree. He also attended the University of Maryland, on base. During his time in the Air Force, Randy received the honor of “Below the Zone”, where he was promoted to the rank of sergeant early. After leaving the service, Randy worked in management for International Paper Company and Fiedel Container from 1989 until 1995. Randy has been married to his lovely wife, Teri, for 24 years and has 5 wonderful children. He is an animal lover who has two dogs and 3 cats. The cats were his kids’ idea. Randy coached soccer and baseball for 10 years and has been the Director of the Wicomico Junior Golf league. He is an active member of his church. He and his family serve on Halo, an organization that hosts and feeds the Homeless in Salisbury MD. Favorite Teams: Pittsburgh Steelers, Pittsburgh Penguins, and Boston Red Sox. 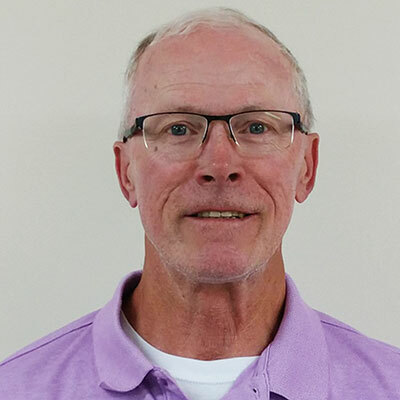 Randy began his career at Northeast Agri Systems in 1991 and has worked in a variety of departments throughout the company including Service, Warehousing, Parts Sales, Customer Service and Outside Sales. Randy currently works in the Purchasing department. Randy grew up on a dairy farm in Quarryville, PA. He is married and has a son named Blaise. His brother Ryan Groff currently works in Northeast Agri Systems’ service department. In his spare time, Randy enjoys coaching Little League baseball. Robert began working at Northeast Agri Systems in 2007 and works in the drafting and design department. With over 15 years of commercial construction experience, he has an inside perspective and the hands on experience necessary to visualize and anticipate situations before they become a problem in the field. Robert is grateful for the opportunity to work at Northeast Agri Systems and most enjoys the major input he has on construction projects, doing a lot of design built elements. 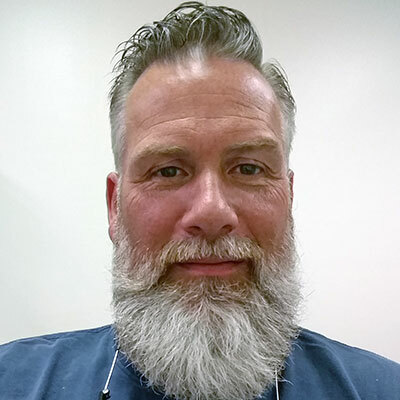 Before joining Northeast Agri Systems, Robert attended York Technical Institute, undertaking coursework in computer aided drafting and design with a major in Architectural Design and a minor in Civil Drafting. He earned his Associate Degree in Specialized Technology in 2005. He also attended Lancaster County Career & Technology Center in Brownstown and graduated with honors including Special honor of Merit, PA skills certificate, President’s Education Award, and Honor Roll 2003-2004. He also attended L.C.C.T.C. and completed a 30 hr. course in Architectural Drafting in 2003. Robert lives in Holtwood, at the southern end of Lancaster County, with his wife Robin and enjoys spotting deer and other animals with his dogs. His dog Neo still hasn’t caught that squirrel yet… Robert has 6 children and 10 grand children. In his spare time, Robert enjoys reading, riding 4 wheel with his grandson, spending time with his family, building projects and studying the good book. Favorite Mentor: Frank Warner, my trig teacher in college, the smartest, happiest, most encouraging man I have ever met, next to my Dad. Favorite Quote: Success insists on change, change takes courage, courage requires persistence and persistence brings results. Rob joined Northeast Agri in 2016 as a Truck Driver. He enjoys the freedom of the open road and describes his job as “Holding the wheel and smiling.” Prior to joining Northeast Agri, Rob served in United States Army. He has also worked as an Operations Manager and held other truck driving positions. 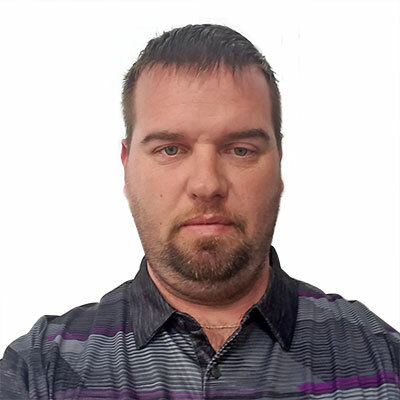 Shawn began working for Northeast Agri Systems in 1996 and currently works in the warehouse and UPS department. Originally from Lititz, PA, Shawn is married to wife Diane and they have a daughter named Brandi. Shawn enjoys sports, especially football and bowling and has been coaching football for the last 34 years and bowling for the last 12. Shawn is also a league bowler in his own right. Steve began his career at Northeast Agri Systems in 1990 working in the warehouse. Soon he moved into the Purchasing department, a position he was unsure about since he had spent most of his life in the building industry. After several months, Steve suggested that the customers would be better served and Northeast would be more competitive if Northeast supplied complete building packages and the Northeast Agri Systems building division was born. This department evolved to on site farming and drop shipping. Steve now runs the building department he helped to create and also handles a variety of other tasks including bids, sales, pull sheets, working with contractors and vendors and upper management job supervision. His equipment knowledge helps him create great results for Northeast Agri Systems’ customers. Steve grew up in Paradise, Lancaster County on an 150 acre dairy farm. He now resides in Wrightsville, York County. Prior to working at Northeast Agri Systems, Steve worked for King Construction (New Holland) for 8 years. He also worked in full house construction and million dollar residential housing until the housing market took a bad turn. Steve loves to build things and particularly enjoys the challenge of adding a building to a new site. Steve is married to wife Kathy and has a son, Taylor, daughter, Lexie and 2 stepdaughters Kaci and Kali. The family also has a cat named Mr. Jinx. Favorite Hobbies: Working on anything with motors. Cars, Trucks, Bikes, Snowmobiles 4-wheelers you name it! Wil became a member of Northeast Agri systems on March of 2003. He was initially hired as a truck driver and performed those duties until 2007. In 2007 an opportunity to move into the office presented itself in the Scheduling and Service department. Wil decided to take the challenge and has been at that position for the last six years. His job responsibilities entail customer service, scheduling, truck maintenance, building maintenance and the service department. Wil was born in 1976 in San Juan PR. His family relocated to Hoboken, NJ when he was a toddler. He is proud to have served in the US Army and enjoys spending time with his family.